This paper introduces an interface specification (PISA) that allows to separate the problem-specific part of an optimizer from the problem-independent part. We propose a view of the general optimization scenario, where the problem representation together with the variation operators is seen as an integral part of the optimization problem and can hence be easily separated from the selection operators. Both parts are implemented as independent programs, that can be provided as ready-to-use packages and arbitrarily combined. 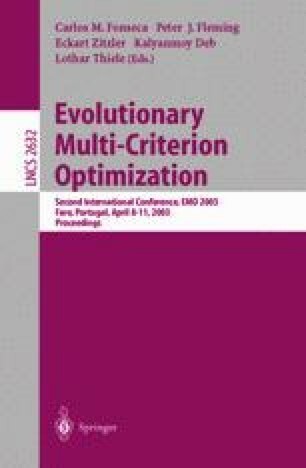 This makes it possible to specify and implement representation-independent selection modules, which form the essence of modern multiobjective optimization algorithms. The variation operators, on the other hand, have to be defined in one module together with the optimization problem, facilitating a customized problem description. Besides the specification, the paper contains a correctness proof for the protocol and measured efficiency results.